If you need help understanding the property licensing rules in Hounslow you have come to the right place! We are experts in housing regulation and have produced this free guide to help you understand the council’s property licensing schemes. To help set the scene, the London Borough of Hounslow is in west London covering an area of 22 square miles. It is bordered by the boroughs of Hillingdon and Ealing to the north, Hammersmith & Fulham to the east, Harrow and Richmond to the south. According to the 2011 Census about 23% of the housing stock was privately rented which is marginally lower than the London average of 25% (1 in 4). You do not need a licence if you rent your property to a single family as Hounslow Council do not operate a selective licensing scheme, although if you rent out a self-contained flat within a converted building, the whole building may need to be licensed under the additional licensing scheme, as explained below. If you rent out your property as a House in Multiple Occupation (HMO), the answer is a bit more complicated. Hounslow Council operate both an additional licensing scheme and the mandatory HMO licensing scheme that applies throughout England. The additional licensing scheme came into force on 1 June 2014 and applies borough wide. The scheme lasts for five years and will end on 31 May 2019. However, the council are currently consulting on plans to extend the scheme for another five years. It is occupied by four or more people in two or more households. In deciding whether a section 257 HMO needs to be licensed, the council have restricted the licensing scheme to those properties where self-contained flats are all in the same ownership. This is a complex area of law and you may need further advice. Hounslow Council charge a standard HMO licensing fee of £1,190 (£1,123 in 2017/18, £1,069.36 in 2015/16 & £1,046.34 in 2014/15) regardless of the size of the property. This seems to apply to both the mandatory HMO and additional licensing schemes as there are no separate fees listed on the council's website. 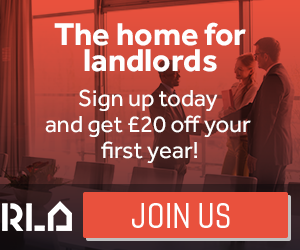 There is a reduced fee of £1,107 (£1,044 in 2017/18, £994.36 in 2016/17 & £883.66 in 2015/16) if you are a member of the London Landlord Accreditation Scheme, a recognised landlord association or a relevant professional body. It is good to see accredited landlords being charged a lower licence fee although the discount has been reduced in the last year. The fees are correct as of February 2019, but could be subject to change in the future. The council have recently introduced an online application system which can be accessed from the council’s website. You will need to provide various supporting documents such as a gas safety certificate, electrical certificate, fire alarm and emergency lighting test certificates (if any) and a floor plan of the property, so make sure you’ve got all your paperwork ready. Yes, Hounslow Council have published HMO standards that can be downloaded from the council’s website. In February 2015, Hounslow Council told us they had licensed 326 HMOs under the mandatory HMO licensing scheme and a further 261 under the additional licensing scheme. By December 2016, the council told us the number of licensed properties under the mandatory HMO licensing scheme had reduced to 306, while the number of properties licensed under the additional licensing scheme had increased to 362. In total, there were 668 licensed properties. When we checked in May 2018, there were 828 properties licensed HMOs on the public register and and by January 2019, the number had increased to 916, although we do not know how this figure is split between the two licensing schemes. Hounslow Council keeps a public register of all licensed properties that is regularly updated and can be viewed on the council’s website. Well, it seems like there may be quite a few. In February 2015, Hounslow Council told us that they think 500 to 700 properties need licensing under the mandatory HMO licensing scheme with another 2,000 properties covered by their additional licensing scheme. That suggests there could be well over 1,000 unlicensed properties still out there. If you are the landlord of a licensable but unlicensed property in Hounslow, you need to act now to avoid the consequences. Hounslow Council told us they took seven housing prosecutions in the three year period from April 2011 to March 2014. A further six prosecutions took place in 2014/15 and five prosecutions in 2015/16, so they are clearly stepping up their enforcement activity. Hounslow Council did not obtain any Rent Repayment Orders from the landlords of unlicensed HMOs over the five years from April 2011 to March 2016, according to data published by the Courts and Tribunals Judiciary. Whilst we don’t have any figures for the NLA or RLA schemes, we have got information about the London Landlord Accreditation Scheme that is supported by all the London Boroughs. In January 2016, they told us there were 398 accredited landlords in Hounslow, which was below average when compared with all London boroughs. By January 2018, that figure had increased to 518 and by January 2019, that figure had increased to 533, which is below average when compared to all the London boroughs. To find out more about becoming accredited, you can visit the London Landlord Accreditation Scheme website here. Yes, on 23 January 2019, the council launched a consultation on plans to extend their additional licensing scheme for another 5 years. The current scheme ends on 31 May 2019. As part of the consultation, the council are seeking to extend licensing to all HMOs occupied by three or more people, whereas the scheme is currently restricted to HMOs that are two or more storeys and occupied by four or more people. The consultation is open until 3 April 2019 and you can find out more information here. There is clearly a lot happening at Hounslow and for all the latest news you can sign up to our free newsletter. On 2 November 2016, Hounslow Council made a non-immediate HMO Article 4 Direction that applies to the Hanworth Ward only. The effect of the Article 4 Direction is to remove permitted development rights so that planning permission is required to change a property from a single-family home (C3) to an HMO with up to six occupants (class C4). So even letting your property to three people who are not all related could require planning permission. According to the council’s website, the HMO Article 4 Direction was confirmed on 29 November 2017 and came into force on 12 January 2018. The changes are not retrospective and so properties converted prior to that date will not be affected. No selective licensing in Hounslow although mandatory HMO and additional licensing schemes apply borough wide. The council are consulting on plans to extend the additional licensing scheme for another 5 years, with the consultation running until 3 April 2019.